apps.photo - Turn all your photos into the fine art painting at once.http://get.apps.photo for free. Turn all your photos into the fine art painting at once. And then, share your #artgram. Don't worry, the maximum number of them has no limitation. apps.photo - Clean Your Album with A Bot.http://get.apps.photo Now Clean Your Album with our intelligent ASB system. Dear, My 101 subscribers, members, PH family who did wait for a long time. 🚀 Today we are introducing Photos+ 🏆🏆🏆Featurd on PH! 🏆🏆🏆🔥✨ After long-time hard work including a plan, finally, we could present you the next experience for dealing with Photos. So we would like to call it "photoOS" internally. Some people who know well previously interested in our project, basically we've started it as some strong bulk photo/video processing app, but we did see someplace such with a telescope to see further than our eye. --- And, of course, the exclusive user license is ready for PH members. Please request us yours via phfamiliy@apps.photo or D/PM me. Have a good day/night my product friends in the world. Today https://get.apps.photo for Free, if you interested! 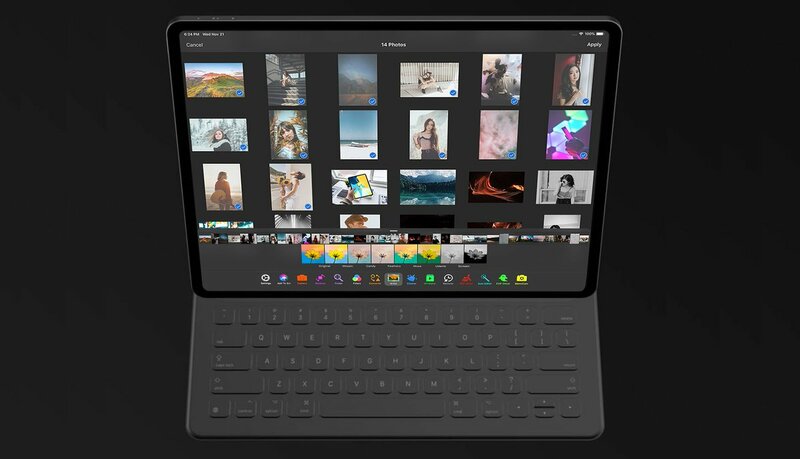 Meet the new generation photo editor & camera toolbox Photos+ https://get.apps.photo , which is supporting the total experience of 3rd-gen #iPadPro.